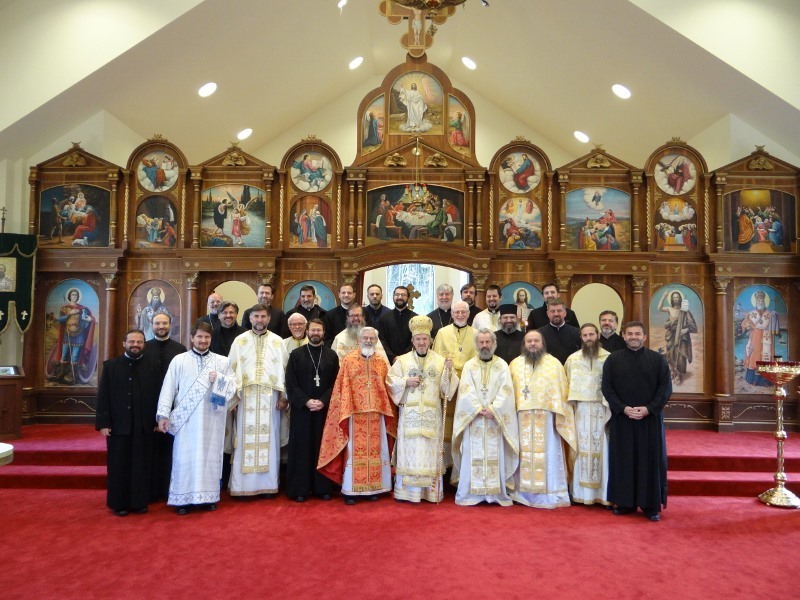 Shadeland, PA - With the blessings of His Grace Bishop Mitrophan of Eastern America this year's fall Clergy Seminar was held October 28-29, 2013 at the St. Sava camp facilities in Shadeland. 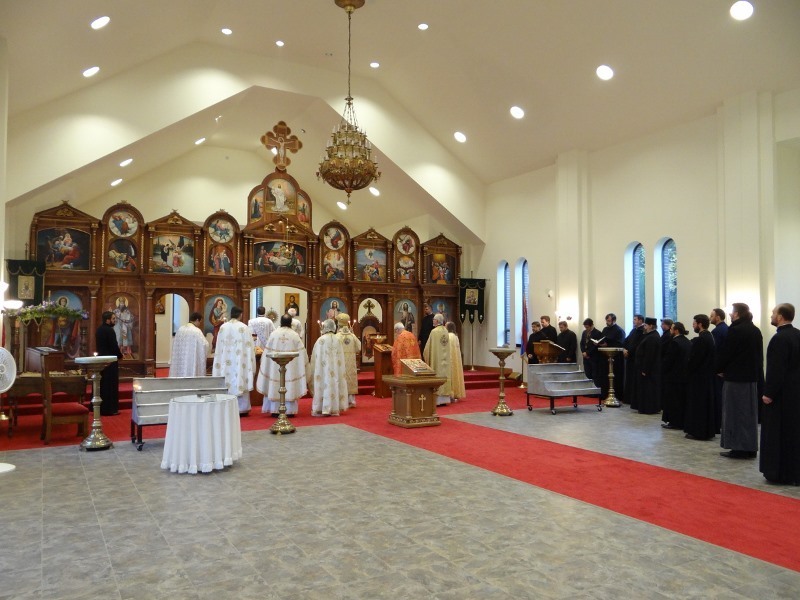 The Holy Hierarchical Divine Liturgy was officiated by His Grace, the bishop, with the concelebration of eight priests and two deacons. The presentation followed breakfast. Hieromonk Rev. 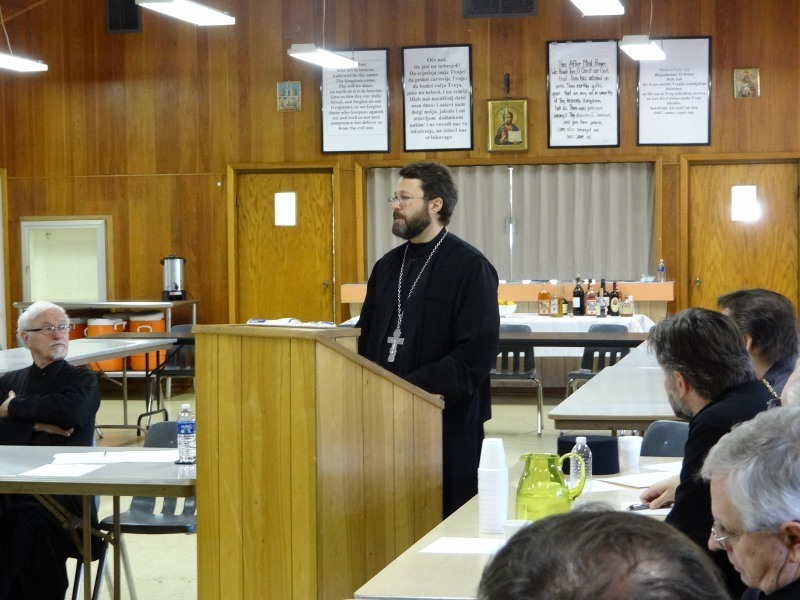 Calinic (Berger) served as this year's speaker. Fr. 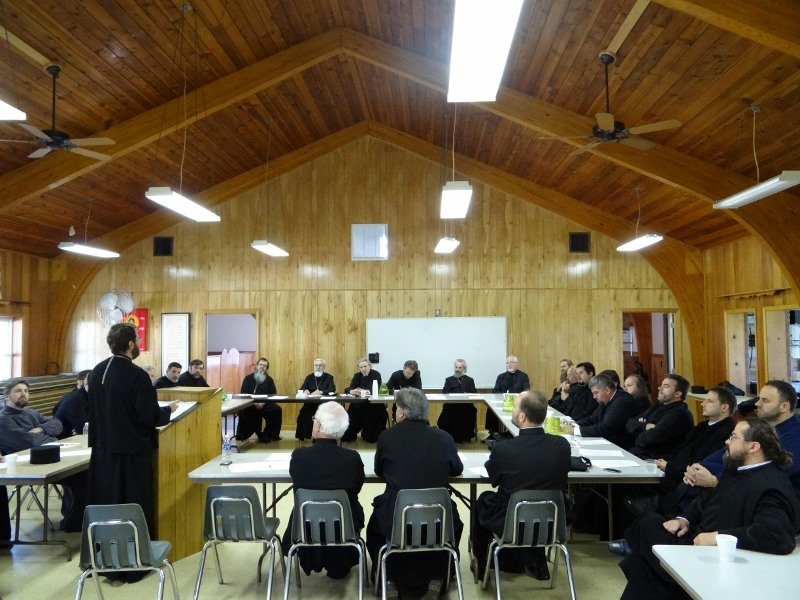 Calinic gave a detailed history of the use of the temple veil and the iconostasis, the theological significance of the veil/curtain starting from the Old Testament, the time of Jesus and it's use and development in the church to this day. A lively discussed followed the talk.